"Pig Out on Harmony" in Edinburgh! Bud Herndon, President of the Columbus District had an idea -- and what an idea it was! Seventeen artists signed up to sing for anyone who would listen at a Hog Roast in an Edinburgh, IN, city park. But the real work was the preparation for the event. 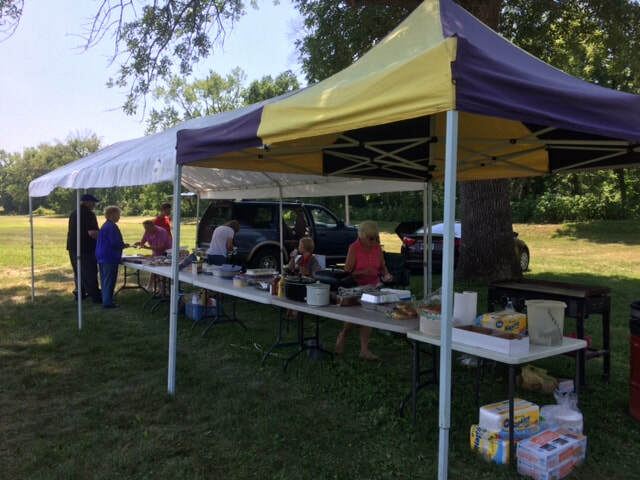 Mo and Neva Tindell and Lloyd and Judy Artis, as well as Bud and Nellie Herndon found themselves needing to find canopies for the food line, acquiring the food itself, lots of ice, soft drinks and water, and cleaning the picnic tables that were covered with dirt and mud. A sound system had to be set up; a background banner was needed; a flyer was developed to distribute on the internet; clearance was obtained from the city, and on and on--all in a few weeks notice. 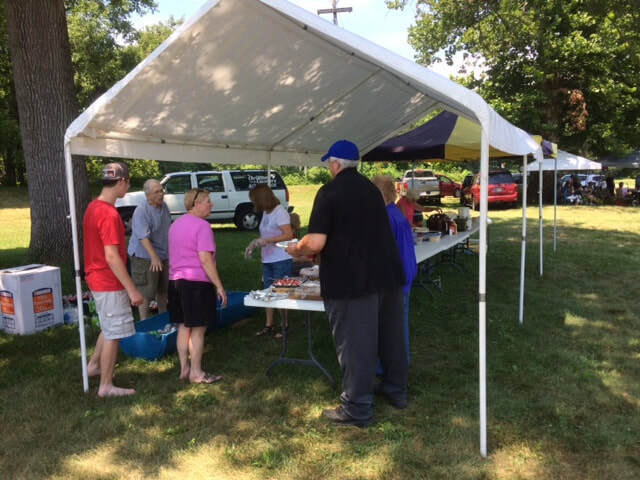 THEN......even with a predicted 105 degree heat index on the day, nothing dampened the spirits of everyone who came. 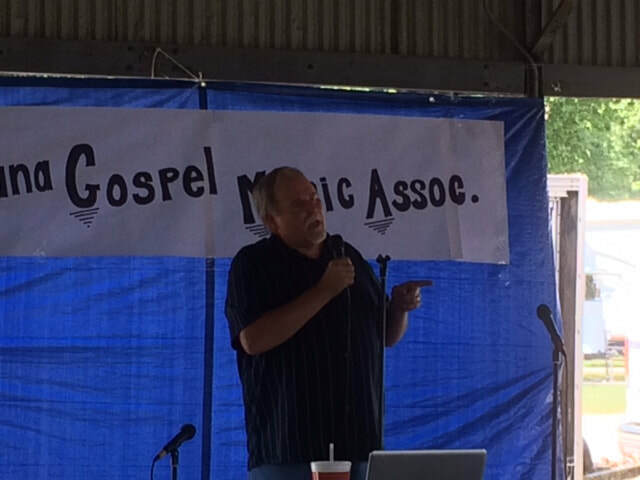 The food was great, the social atmosphere was great, and the gospel music and message was great! What a day! Many thanks to Bud and the entire Columbus District. The Indianapolis District pitched in as well, but we must give credit where credit is due! The food line was so big they had to put two canvas tents together to protect the food from the elements. 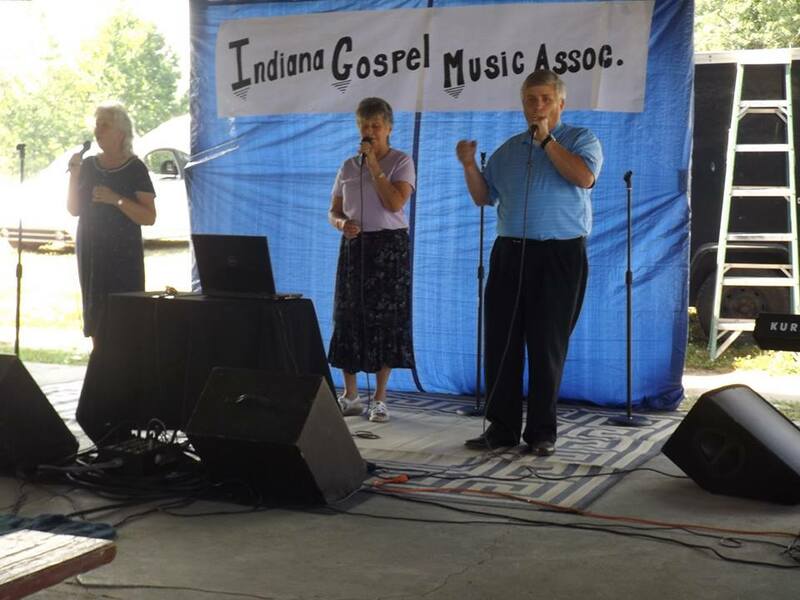 Stan and Jeannette Pederson of the Indianapolis District came down to lend a hand at serving food as did other fans of Gospel music. 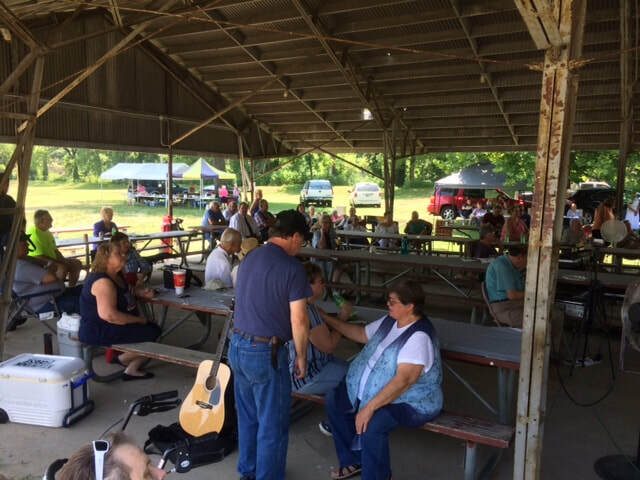 The large shelter house at Irwin Park in Edinburgh was perfect for the event and comfortably housed many, many gospel music enthusiasts. 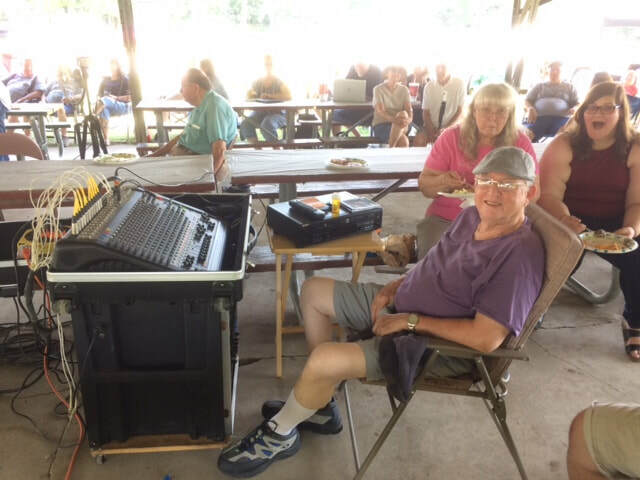 Lloyd Artis manned the sound board and acted as sound engineer for the afternoon. The Christian Cavaliers put on a great concert early on and spread the Gospel in song. 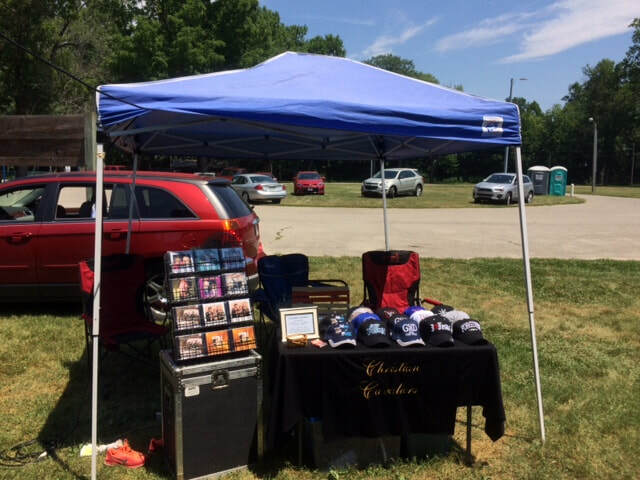 The Christian Cavaliers thought ahead and brought a canopy and product table. Nice set up! 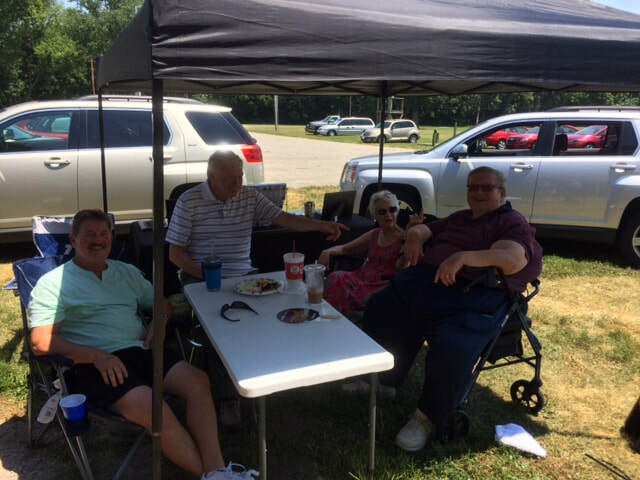 Blessed Truth Quartet brought a canopy and product table and a cooler full of refreshment! 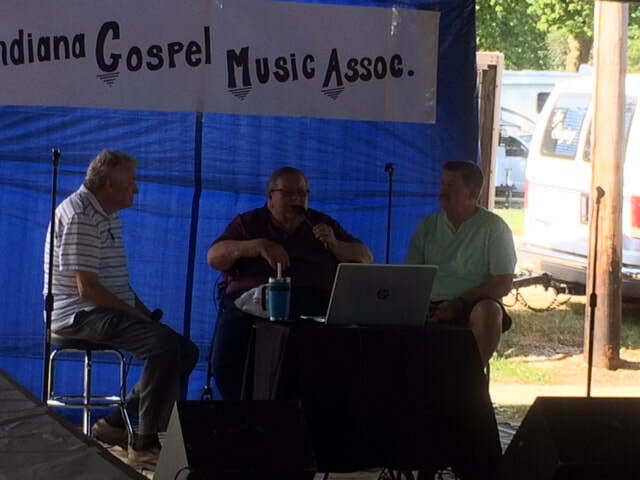 Blessed Truth Quartet performed as a Trio, as bass singer Richard Luke was recovering from surgery. A relatively new trio, Led by the Master, put out some great harmony! HOMELAND trio brought a canopy and found a nice shady spot. 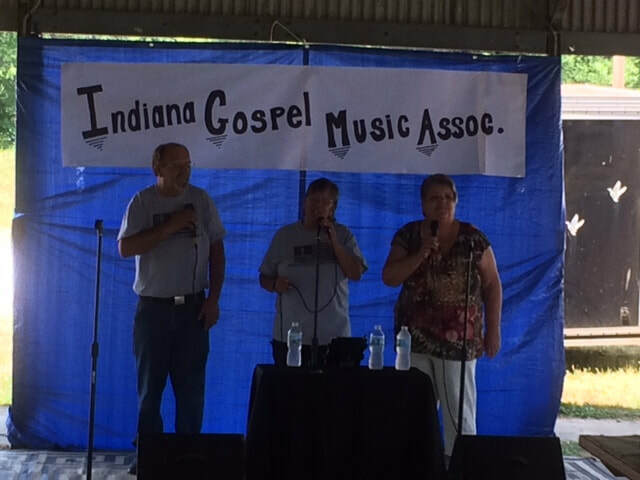 The Sinclairs with Beth singing God Bless America. She ended on a note, which we believe is about 12 inches to the right of any piano keyboard! 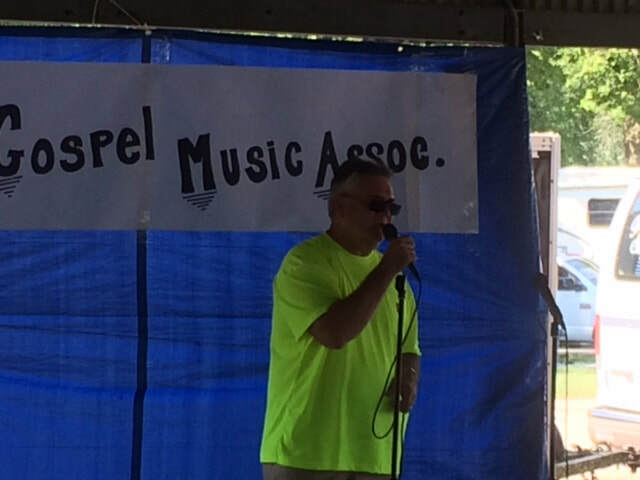 Scott Mauldin, a relatively n ew IGMA member,sang a superb set. 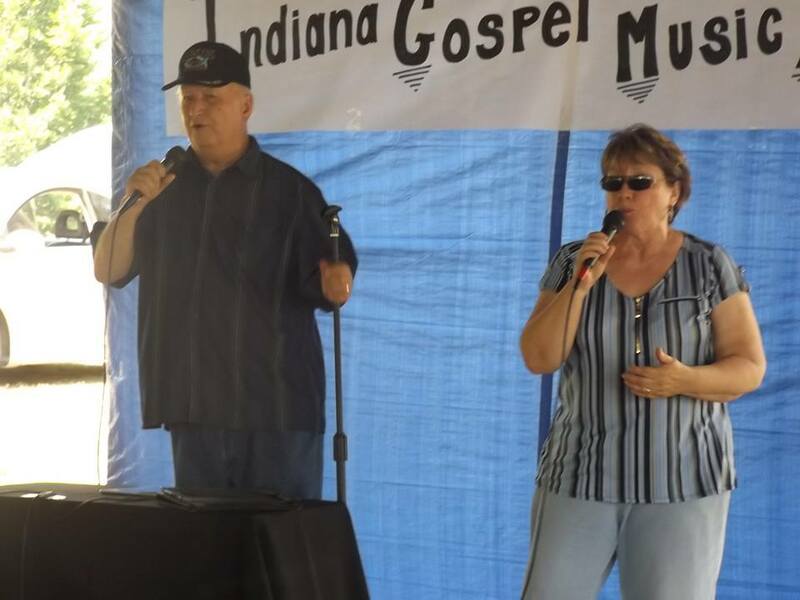 Don Paff, the "Gospel Crooner," sang several original songs written by both his wife and himself. 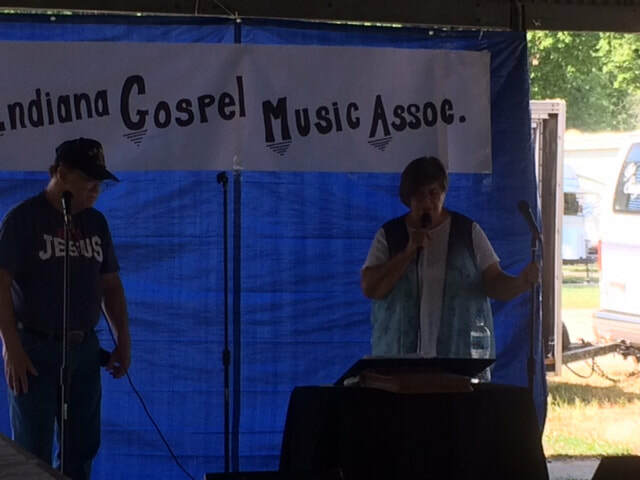 Dave and Donna Edgar, Hearts in Service, sang some original songs they had written. 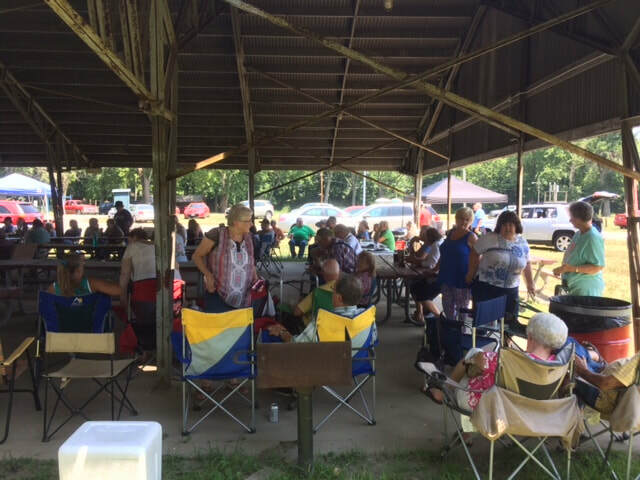 The casual atmosphere of the Hog Roast was perfect for a relaxing time for everyone who came that day. . . . .to IGMA's first annual Hot Roast and Gospel Concert!